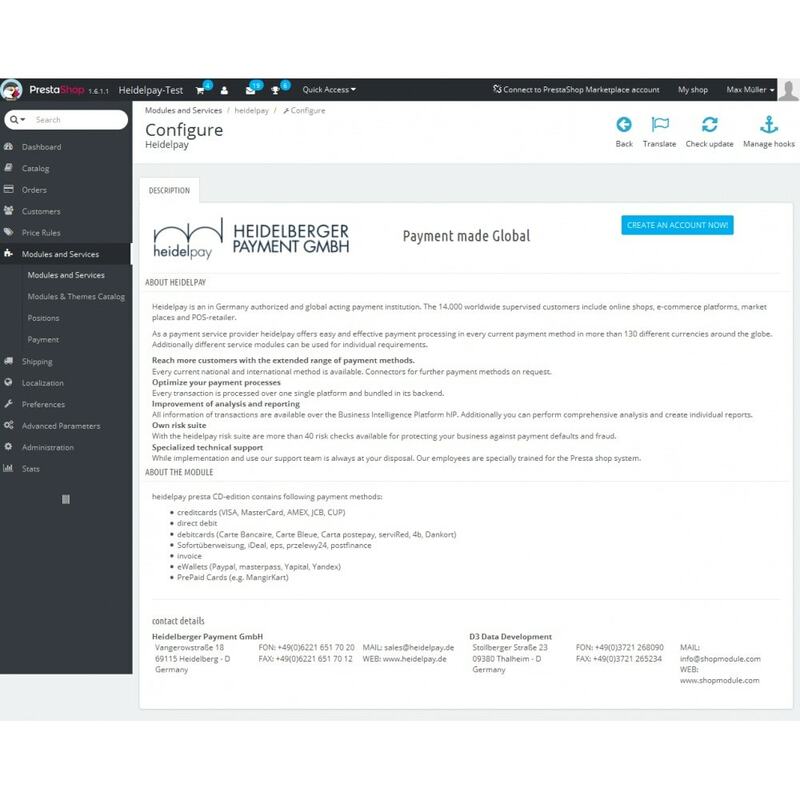 With the heidelpay-module you are able to accept transactions worldwide. 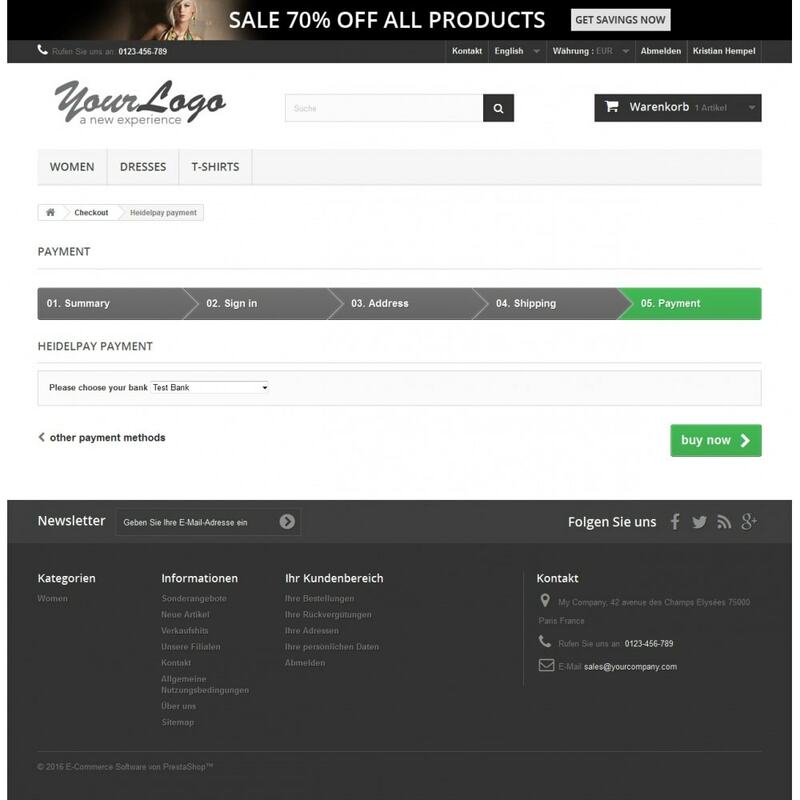 These payment methods are available for E-COM, M-COM and the POS. 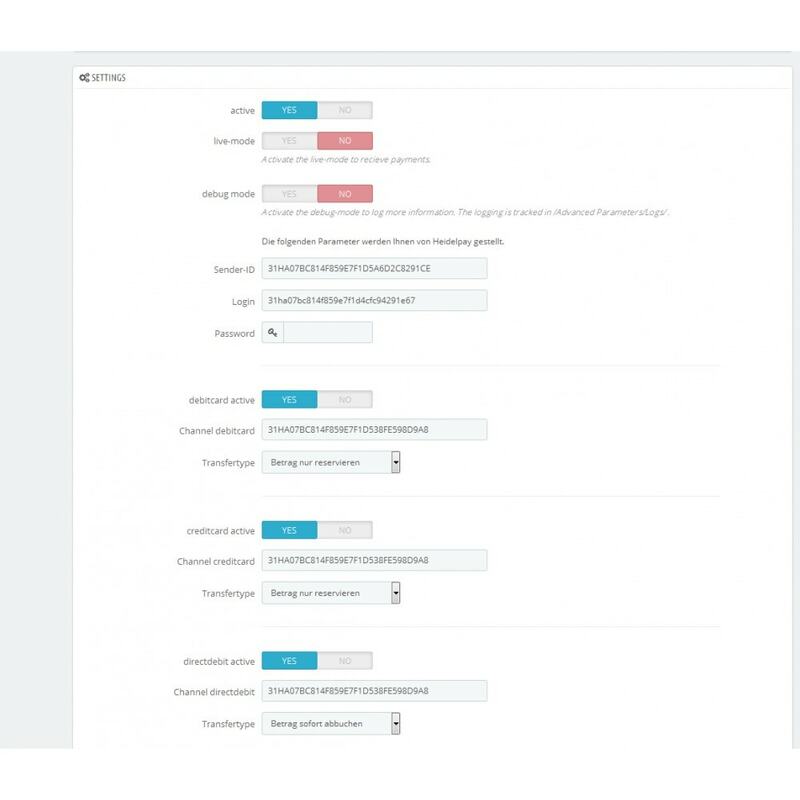 Because of its lean and frictionless checkout processes the module gives an absolute secure feeling to your customers while the payment process and reduces this way purchase demolitions and increases your conversion rates. 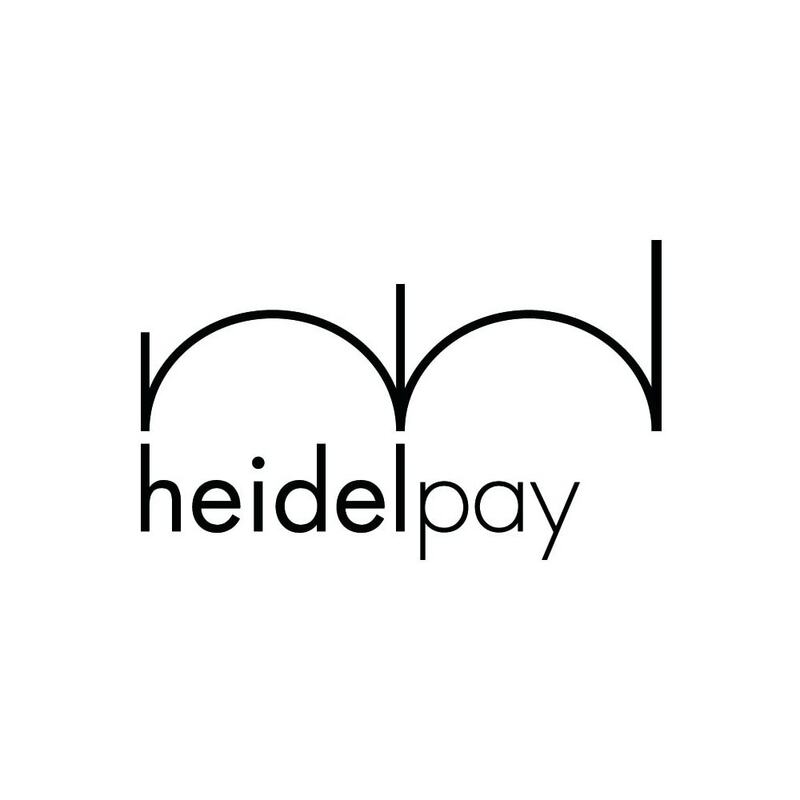 With heidelpay are more than 200 payment methods available. Including inter alia national and international credit and debit cards (for example Visa, Mastercard or Carte Bleue in France), online transfer systems (Sofortüberweisung, Przelewy24 in Poland) or established methods like Vorkasse, purchase on account or the classical SEPA and many more. They can always use their preferred payment method. 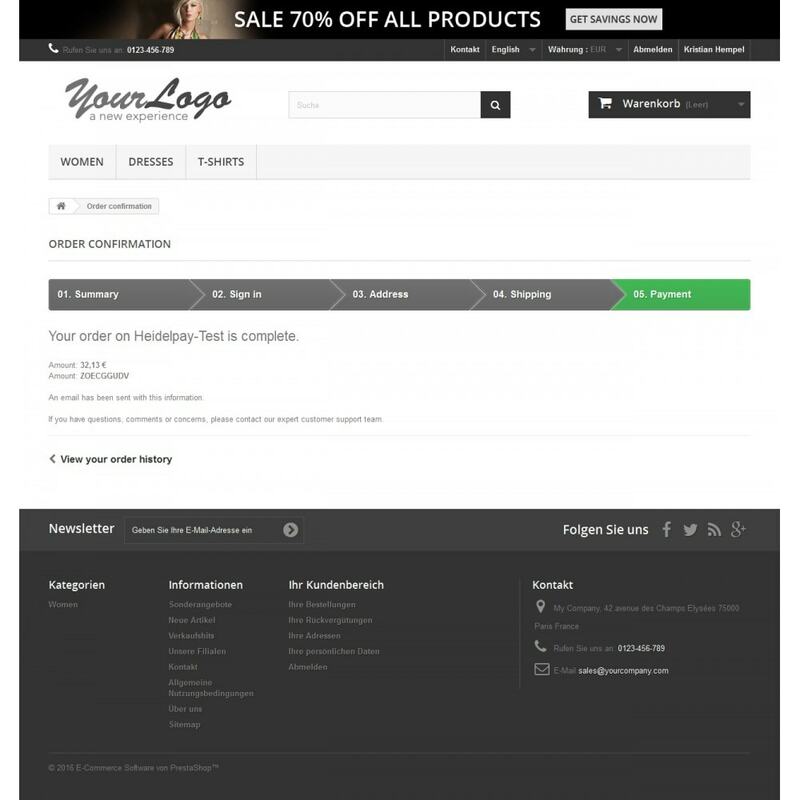 Furthermore your customers always have a safe feeling while the whole payment process, because of comfortable and safe processes which are designed in the look and feel of the rest of the online shop. 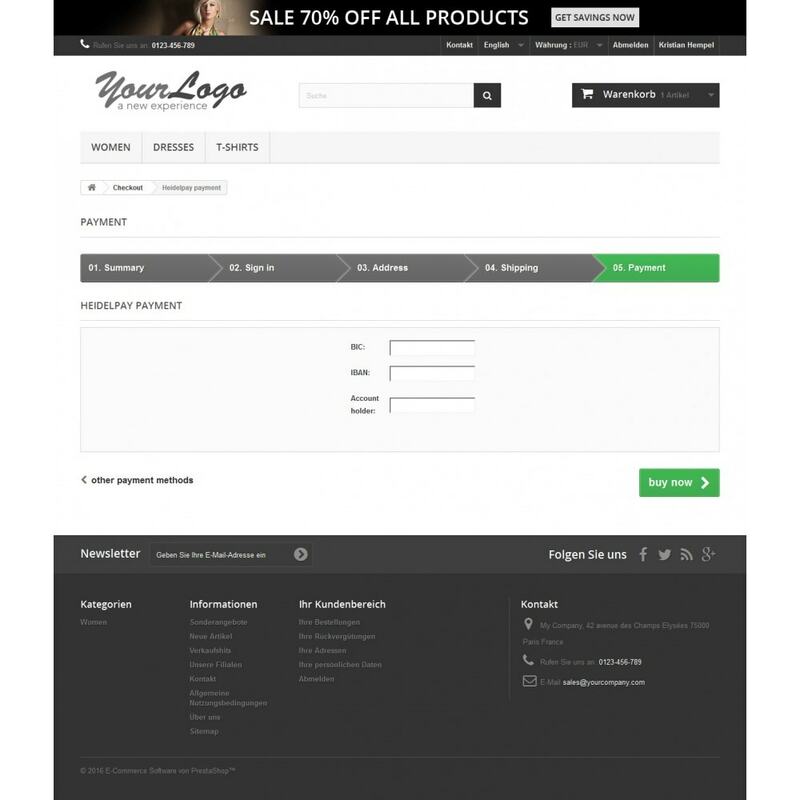 Because of responsive design your customers are able to use every device for shopping online.